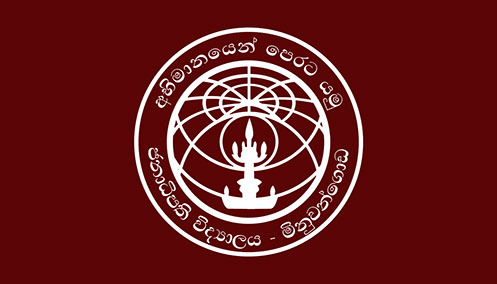 President's College - Minuwangoda (formerly known as Japalawaththa Central College) was founded on 09th February 1979 by the late Hon. Bennet Gunasekara, Member of Parliament. The founder Principal was Mr. R.L.P.P. Rajapakshe who led the school to be one of the most reputed and leading government schools in the Island. The college was upgraded as 1A mixed school on 1st September 1979. 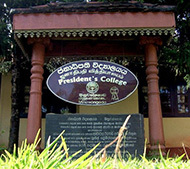 In President’s College there are classes from Grade 6-13 and usually intake 180 pupils to Grade 6. To be able to seek admission to President’s college, a student should sit for Grade 5 National Scholarship Exam conducted by the Department of Education of Sri Lanka and should score the cut-off mark level or above. The College has very strict admission policy which allows only pupils who score higher marks at the National Scholarship Exam to enter Grade 6. Currently there are about 1900 pupils studying at the school. The college is proud to maintain an extremely high O/L and A/L results since 1983 upto date. The school has been recognized by the provincial Department of Education and Ministry of Education as an outstanding School in terms of academic excellence and in particular O/L and A/L results. - About 90 to 100 students of President’s College enter onto Sri Lankan State universities each year which is an outstanding feature. All the students of the college are academically ambitious. President’s College offers boys and girls an extensive range of co-curricular activities, non-sporting as well as sporting. All the girls and yhe boys are participate in any of these activities.